Gone are the days when refrigerators used to be a heavy piece of home appliances. A DC solar electric system is fairly simple, the key components are the solar panels, batteries, and charge controller. The charge controller keeps the batteries from being over charged and also shuts off the load to keep the batteries from being totally discharged.The present day refrigerators can function even at a low voltage without consuming a lot of power. This is the reason why we are able to offer solar refrigerator to our wide base of clients in various parts of the world. The solar-powered refrigerators, we have can work at just 12 volt DC, offering the capacity in between 70L and 500L. 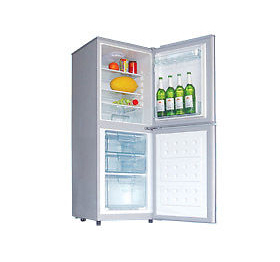 The power consumption remains around 70w, which is quite low as compared to the conventional refrigerators. 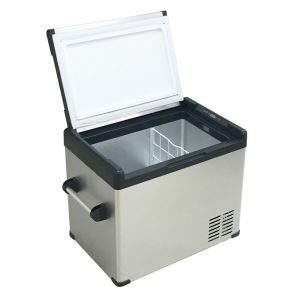 So, if you want to impress and entice your customers, then check out our range of solar refrigerator.